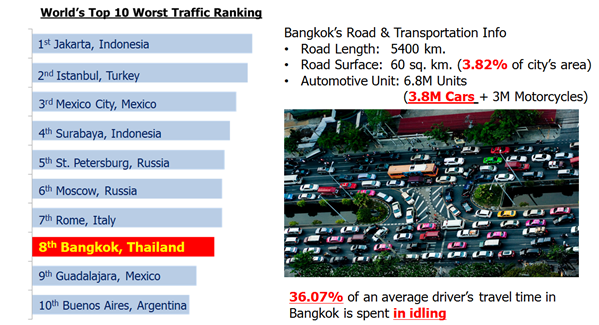 Bangkok is listed as one of the worst traffic in the world. Time of arrival is difficult to estimate. 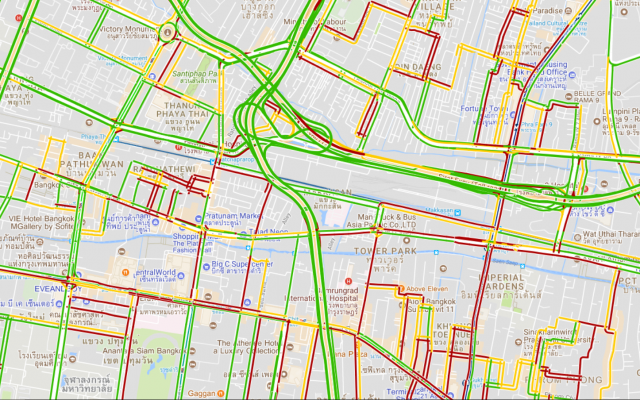 The research found that people in Bangkok spend time on the road around 21 days per year and 36.07% of an average travel time is spent in idling. 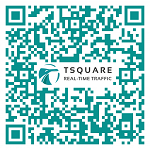 TSquare provides real-time and high quality traffic information suitable for mega city in Asia through VICS/RTIC system (Japanese standard). 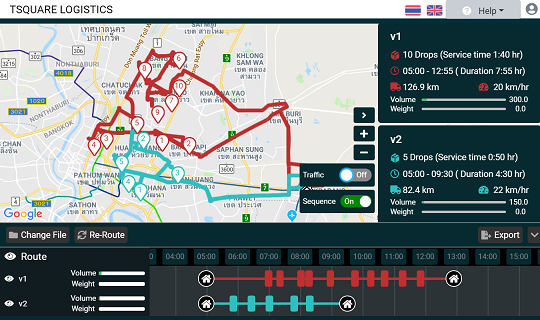 We developed our own customized firmware which allows us to collect data from GPS every 3-5 seconds. We receive more than 50 millions data per day. 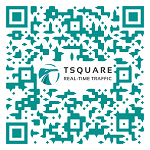 to automate and optimize your planning operation. Please contact us by filling in the form below and we will contact you asap. If you need a longer chat, you can email us here or just give us a call.